I’ve been running AdSense on the Web Dev Door blog for a while now and have ran numerous tests and variations of advert settings over a long periods in order to try and maximise AdSense income. This post investigates a number of tips that could help you increase AdSense earnings. One important point regarding revenue generation is that visitors generally have ‘banner blindness’ and a number of the below tips involve making adverts more seamless with your content so they are more likely to be seen. It is important though when trying different advert setups that you strike a good balance between advert visibility and aesthetics, whilst minimising the potential for users to feel frustrated with them. Adverts that obscure content for example are more likely to drive visitors away and discourage people sharing your content. Enough rumination! Onto my top AdSense tips to maximise revenue. 1. Use text and display ads together. Increasing the variety of ads available will increase competition between ads vying for the same spot and therefore bumps up the average Cost Per Click (CPC). Even though performance reports might suggest one advert type is doing better than the other, disabling the lower performing type will rarely lead to higher earnings. Using both of Text and Display adverts together accounts for 3/5 of the performance score indicator as shown on the main AdSense dashboard. AdSense should also adjust to display a greater proportion of the higher performing advert display type as time passes. The top performing advert sizes according to Google are the Large Rectangle (336×280), Medium Rectangle (300×250), the Leaderboard (728×90) and the 160×600 Wide Skyscraper as shown below. These are also standard sizes commonly used by advertisers, which means using these ads on your site will mean more competition for advert spots and therefore a higher CPC. I’ve found a Leaderboard running the width of a main column of content to be a good choice in a typical blog layout, along with a Large Rectangle in the sidebar area. It might seem like an obvious income generation tip to disable every category that is not related to your site, as this could increase clicks for more relevant ads but by doing also means you’re decreasing competition between Adverts and, in many cases, the CPC. AdSense algorithms will, over a period of time, display adverts from the better performing (and relevant) subject categories anyway. Having said that, I have had some success with changing the subject categories but I would recommend waiting until you have 30 days of data before determining which categories to disable. AdSense will display the percentage of impressions along with percentage of earnings and you’ll want to start by eliminating the categories that have lower earnings compared to impressions. One of my top tips for AdSense is just to keep trying different settings to see which works best for you. Your site and niche might benefit from changes that won’t be so effective on other sites. Experiment with different styles, sizes, positioning of ads in different combinations and record how each change impacts revenue. You’ll soon build up a picture of the best performing factors. Conversely, Google does a pretty good job of delivering the best matching ads to your content to help maximise AdSense earnings. One tip would be to just leave settings alone in many cases. I’ve found too much micro management can often have a negative effect and leaving ad serving largely down to Google can often yield the best results. It’s in Google’s best interest as well to get the most earnings out of AdSense. To maximise revenue, AdSense will change factors such as the balance of Ad types, Ad subjects and contextual vs interest ads based depending on the performance of these factors. One of the best ways to maximise AdSense revenue is to try and combat ‘banner blindness’ by making the styles of the text ads flow more seamlessly with the main website content the adverts sit against. Matching the font style and link colour of your ads is one of the easiest ways to avoid banner blindness, assuming the (limited) font style available from the AdSense settings is similar to your website’s font. This will also improve the aesthetics as banners or more consistent with website styles. Removing the advert border by colouring it to match the background colour is another great way to overcome banner blindness. Adverts positioned next to content of the same type tend to perform better; text ads next to text and image/rich media based ads next to images. If you are displaying ads of a specific type (it’s usually best to run text and image ads in the same spot), try matching like for like. Indented or centred adverts can stick out like a sore thumb and make them easily identifiable as ads. Aligining the text of your content with the ads will look more seamless and pleasing to the eye. Google will penalise low content to advert ratio along with too many adverts above the fold. Visitors are also less likely to share your content if it is hard to read or adverts clutter the site. I would be wary of having more than 3 advert spots in total on any page and certainly wouldn’t want to put more than two ads in the top ~600 pixels. Try starting with one above the fold advert and optimise that advert for maximum income potential before adding more. It’s certainly worth familiarizing yourself with the AdSense terms and placement policy to ensure your not doing anything which could get you banned from AdSense. This includes not obscuring adverts, altering the AdSense code and clicking your own ads. You may have noticed the little 16×16 favicon image and large arrow on text ads as shown below. These are Enhanced text ads and are enabled by default. Social ads will occasionally show the +1 button which is supposed to encourage social sharing. Social ads will also make adverts more easily identified so it’s worth turning this option off, even if most ads don’t have the social feature. Adverts below the main article headline but above the text content I’ve found to perform better than adverts placed at the top of the page above the headline and everything else. I regularly see advert placement in the between paragraphs within the main page content. Although I prefer not to break up content myself, I would expect this to work fairly well. It may be tempting, but try not to fill your site with ads until you have plenty of traffic. Otherwise this will only lead to disappointment. With new sites, it can take a long time before they have built up a decent amount of authority in search engines. Crowding your site with ads in the first place will put visitors off and mean your content is less likely to attract shares, links and therefore authority. Introduce adverts gradually, once you start getting good traffic and visitors numbers. I only started AdSense when my site reached 30k monthly visitors, which was a good 2 years since starting the blog. I’ve found the easiest way to test the effectiveness of a specific advert setting is to take an initial measurement after a period of time (such as 1 week), make a change and wait another week before measuring the impact of that change. This is basic A/B testing. It’s good to test your changes in isolation though, as multiple changes will obscure the efficacy of individual factors. This may sound like an obvious tip, but make sure to use the scorecard’s revenue optimisation and site health indicator and follow the pointers given here. The score is based on the average of the last 7 days, so any changes you make will take this long to be fully reflected. In most cases, you will get better earnings from a full score in both revenue optimisation and site health. When trying to test new ad settings or variations, allow a reasonable amount of time and a good sample size of visitors before assessing the effectiveness of the change. Daily fluctuations in clicks and CPC are common and with many of changes I make, I usually wait a couple of weeks. Also when updating advert settings, it might take a number of minutes before the changes are reflected in the adverts on your site. Unless you create a new advert, you shouldn’t need to update the source code. Bonus tip: AdSense default view will display highest revenue pages, which will often coincide with the highest page views. if you go into the ‘AdSense Pages’ option in Analytics, you can order by eCPM which shows cost per 1,000 page impressions – this gives a more balanced view that is independent of page views. I often see AdSense advertising as a balancing act; especially when adverts are a major source of income. You want to maximise your own revenue whilst presenting your content in a readable and accessible way that will help encourage shares. All too often I see poor advert implementation that would put me (and many vistors) off from both reading and sharing the content which in turn will negatively affect the SEO and therefore traffic to the offending site. So far we have looked at specific things we can do in AdSense to increase earnings, but there are plenty of non-AdSense related factors which will lead to higher revenue. If you are in the position to start a new website or blog with AdSense in mind, then picking a subject area in a higher performing niche may be worth considering. Highly competitive niches that are likely to attract visitors with lower technical awareness will usually fare better. Generally, the more technical the user then the higher the chance they will identify and be immune to banner advertising. Healthcare, medical and insurance subjects are supposed to be some of the top performing niches, whereas technical sites (like this one) usually lower. By encouraging people to engage more with a website can increase page views therefore giving more opportunities for banners to be displayed therefore increasing AdSense revenue. On a blog for example, this could include a search box or list of related posts. Many sites will also break large articles into multiple pages for increased page views. This method however is less user-friendly as people generally prefer scrolling over more clicks. How fast a website loads is a big usability metric. Fast sites are also good for SEO and therefore AdSense due to increased traffic from higher rankings. A faster site will mean visitors are more likely to stay on your site rather than leave due to slow page loads. Page speed is also a metric shown in the AdSense optimisation indicator, so clearly an important factor and a top income tip. Improving how your site ranks in search engines will drive more traffic, page views and increase earnings. It might seem obvious but there are literally hundreds of actionable things you can do to help your site’s SEO. Some of the more important factors include creating a solid site structure, good headlines and titles and friendly URLs. It can be tricky to implement some SEO changes on an established site but if you’re starting a new site, you have every chance to build a good SEO foundation from the outset. It’s easy to say ‘create great content’ but in reality this is usually the hardest thing to achieve and in many ways the most important factor when it comes to generating decent AdSense earnings. There are so many things make content good, but the bottom line is that if no one likes, shares or links to your content naturally, then you are likely to have low traffic and earnings. If you have little interest in your chosen subject and have started a website with the primary goal of making money then you are likely to fail in getting any more than a few pennies from AdSense. Content is, has always been, and will always be king for both SEO and therefore advertising income. Good content should really be my #1 AdSense tip. I hope you these pointers come in handy, please share any AdSense tips that have helped you increase earnings. Hey,I’m new to Adsense and blogs even but I’m trying out a little with the tips provided by you. And how did you use that twitter bird flying in your site ? Really a great share Tom .. Literally I never thought that the enhanced text ads can be disabled. Using them, I am getting fruitful results but I plan to give a shot in the dark to see if disabling the enhanced text ads would lead to increase in revenue. One of the best AdSense tips on the internet. Awesome article as always Tom! I have try all the time our tips and now i have learned so much about adsense tips. Very helpful Adsense tips, Tom. and whether this was due to their not performing as well as expected? With small traffic numbers, sites can still earn with Adsense, though, it’s very “hit and miss” and can take a while to make any decent earnings….unless they are ranking well in a high paying niche…. Thank you for sharing these useful tips. The way to disable enhanced text was particularly apt, I have seen many sites berating them but not one that suggested something could be done about it. With reference to niche and content, yes they are king but when the subjects you write on are about ways to reuse, home-made, hand-made and thus by inference not a great deal about purchasing, finding the right ads can be challenging. Thanxx for the great help brother but I have question i.e. is it a good idea to use all ads as responsive ads. Nice article. I have adsense integrated. my traffic is very low 60-70 visitor a day and I get hardly any click so my income is very low. Can I transform CPM based earning rather than CPC based earning? There is not doubt that it is a wonderful tutorial for adsense. However, thank you very much for that. hey, do you realise you get two number nine on your list? great tips, but you have forgotten one tip and that is moble first! Very informative post about increasing AdSense earnings. I am actually inspired to improve my AdSense sites from your valuable and helpful information. Thanks a lot. Keep coming and more power! My primary income is content revenue from AdSense and also Affiliate Marketing. Adsense is one of the top cash flow for Bloggers. Use recommended sizes. 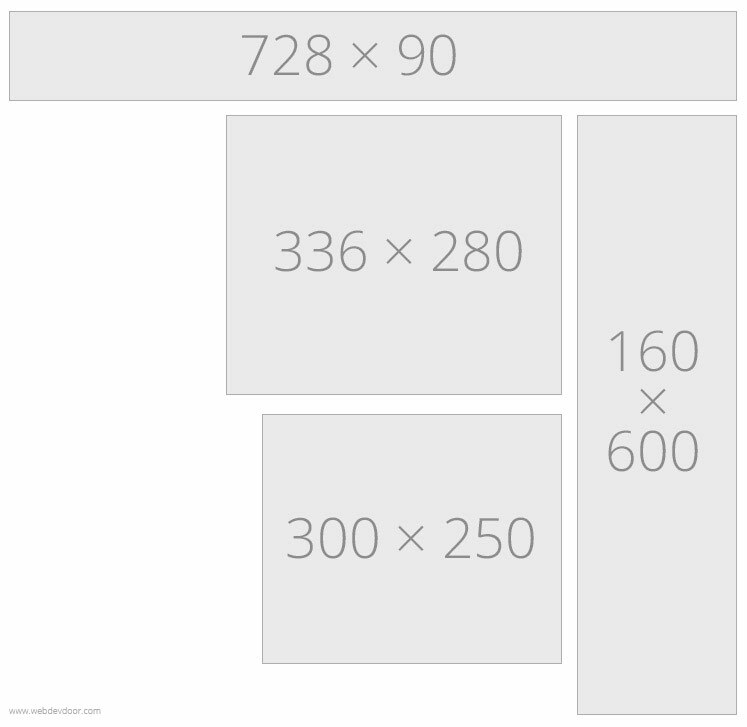 Top performing AdSense banner sizes. Adding custom styles to AdSense ads. An example of AdSense ‘Enhanced Text Ads’ features. Disabling Social Adverts in AdSense. AdSense Scorecard for revenue optimisation and site health. Analytics graph showing an increase in AdSense revenue.